Windcrest Holsteins, located in Timberville, Virginia, continues to show their commitment to the long term success of their operation by becoming the first dairy in the State of Virginia to install the revolutionary First Wave Phosphorus and Nitrogen Capture System by LWR. The First Wave System, developed by the makers of the number one selling manure treatment system on the market, offers the same powerful segregation ability as the LWR System. The Second Wave module can be added at any time to start recycling the dairy’s manure into clean water. Nestled among the rolling hills of the Shenandoah Valley, with panoramic views of the Blue Ridge Mountains to the east the North Fork of the Shenandoah River on the west, Windcrest Holsteins is known for their forward thinking when it comes to the environmental footprint of their dairy. A few years ago, the south-facing roofs of the farm’s free-stall barn and milking parlor were covered with 1,798 solar panels. Windcrest has been built around sustainability and have always looked for economic advantages by improving efficiencies around the farm. In this case, the focus was on manure handling and reducing the labor that is involved with the current manure management plan. The Yutzy Family at Windcrest Holsteins. 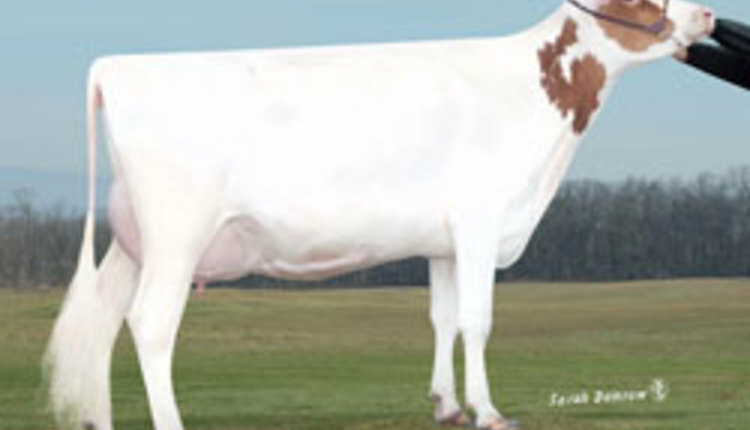 “I’ve been intrigued by LWR’s technology since I first heard about it” says veteran dairyman Dave Yutzy, who owns Windcrest with his wife, Jewel. “After visiting several farms with LWR systems in place, I knew that this technology could be a good fit for our dairy and fix some of the water quality issues we are having,” he adds. “Because we use recycled water to clean our barns and to clean the recycled sand which we bed the cow stalls with, improving that water quality is a great way to give our cows the best environment possible. This leads to healthier cows, and ultimately a healthier bottom line,” he says. After carefully examining the options on the market for clean manure liquids, Yutzy decided that both the capital investment and operating costs of the First Wave System made it the best fit for his dairy. Manure is a valuable by-product from dairy farms and is used as a resource with many benefits. The First Wave System will allow the 900 cow Rockingham County dairy to strategically apply nutrients and achieve 100% nutrient accessibility which they expect will increase their crop yields. “The life of a dairy farmer is particularly demanding, and our goal is to help them spend less time on manure” says LWR President, Ross Thurston. “It’s becoming more and more difficult for dairy farmers to stay in business, so they are always looking for ways to improve efficiencies," he says, adding that the First Wave is a fully automated system that will reduce the labor and trucking costs currently associated with manure management. Although the First Wave System at Windcrest will be the first installation of its kind in the state, manure management is always on the minds of producers. With one now in place, more will likely follow. “Dairy producers care about the environment and strive to turn challenges into opportunities to improve their farms,” says Yutzy. Some of the most significant environmental challenges that dairy producers face are soil degradation, manure management, water quality, and greenhouse gasses emissions – all of which will be addressed by the First Wave System. 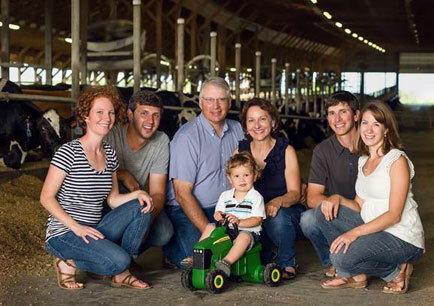 It’s clearly evident that Windcrest Holsteins takes their environmental responsibility seriously, and that they are now well suited to leave a legacy for the family’s third generation that will one day take over its operation. LWR is a North American water treatment company focused on providing dairy, hog, and anaerobic digester operations with sustainable and cost effective manure treatment technology. With systems installed and operating throughout Canada and the US, the innovative technology has been awarded patents in Canada, New Zealand, and Russia, and is patent pending in five other countries around the world. The LWR System can significantly assist drought affected areas as it can recycle up to 75% clean, potable water from manure. The System also concentrates phosphorus, ammonia, potash, and nitrogen, allowing every part of the manure to be reused as a valuable output.